Many towns are passing town ordinances regulating the use of pesticides and fertilizers. The goal of these ordinances is a mandate to protect the health of people and pets, and to protect the environment, the soil, drinking water, and waterways. There is an issue of enforcement of these regulations. The town code enforcement department is the usual department that enforces town ordinances. Each citizen also needs to be a watchdog for violations for enforcement to be successful. It should be noted that incorporating best management practices for the use of pesticides and fertilizers is an important and impactful step to mitigate the negative impacts of these products in those towns without an ordinance. It is the responsibility of the homeowner and the treatment applicators to follow best management practices (BMP) when applying these products to reduce negative impact. However, even with an organic lawn program, there are times when some treatments are necessary, and if applied according to BMP, can help a homeowner from losing a lawn resulting in an expensive new lawn installation. In the transition phase from a chemical lawn to an organic lawn, some action might be necessary to initiate a better foundation for the organic transition. Spot or select usage is better than broad based application. In a town without an ordinance, the homeowner should inquire of the applicator about the schedule and type of treatment that is being proposed over the course of a lawn season. Applying a treatment for grubs if there are no grubs present is not BMP. Weed control is better applied only when necessary. Companies often sell contracts for multiple applications. The homeowner should be aware of what the applications are for; i.e. pesticides, weed killers, high nitrogen and or phosphorus fertilizers. The homeowner should be aware of the schedule for applications as the small size of the warning signs that an application has been done may go unnoticed. 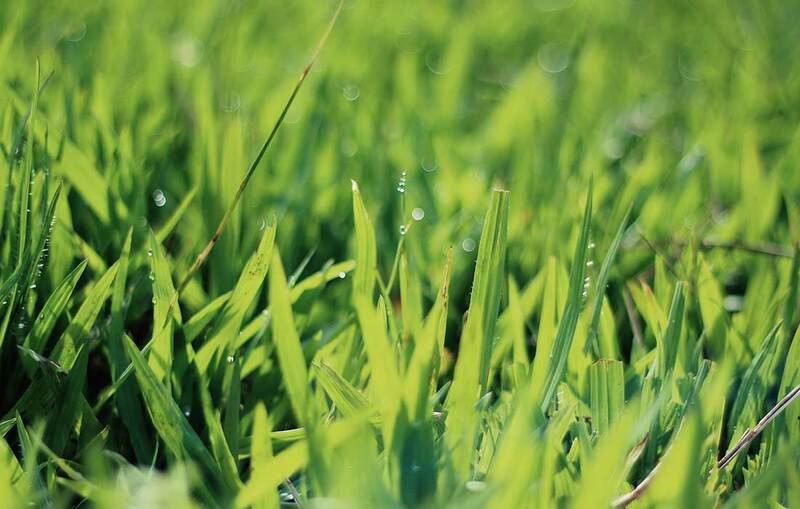 A successful organic lawn can be achieved with proper organic methodology. The key to a successful organic lawn is the development of a deep and thick root system, and that requires the right soil. The first step is a good soil mix of loam and compost, at least 4” deep over subsoil, and 6-7” deep over sandy base. This soil depth and composition enables deep root growth and holds more moisture. Existing lawns, especially in new housing developments, may only have a skim of sifted loam. In these cases, aerating the lawn, topdressing with compost and over seeding will help to add more organic matter to the soil and subsequent additional root growth. Applying a good organic fertilizer spring and fall and a calcium and magnesium amendment are standard practice. A soil test may recommend additional amendments. Several years may be needed to accomplish a successful transition to an organically maintained lawn. The homeowner may also need some flexibility in tolerating a few weeds.